During my initial days when I started blogging with default templates I was happy because everything was new at that time..but I realized that default templates are not much professional,attractive and also they are not optimized for search engine like Google. We can change our default blog template with third party templates and that is why today I have come up with this idea of changing my blog template for beginners…. Step 1: First download any blog template from internet which you want to apply to your blog.Search on Google for “Free Blogger Templates” and download attractive and professional templates. Once you download the templates then follow the simple steps below. Step 2: Log in to your Blogger account. Step 3: Now at your home page just click on the drop down menu and choose Template. Step 4:Press Backup/Restore button located at the top right corner. Step 5:Now first you have to download your current i.e existing blog template as a backup.So click on “Download full template” button. 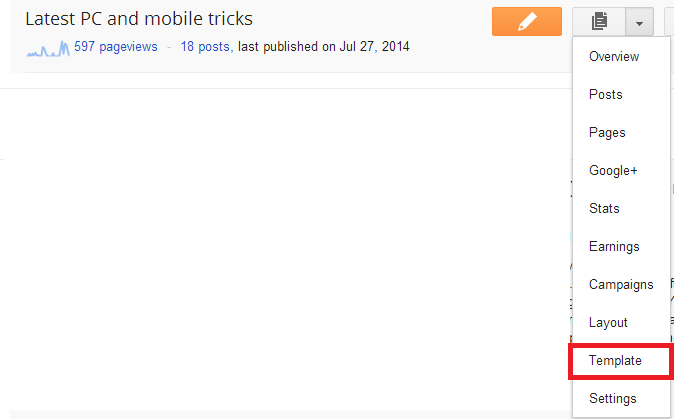 Step 6:Now click on Choose File button and choose your new template that you want to apply to your blog. 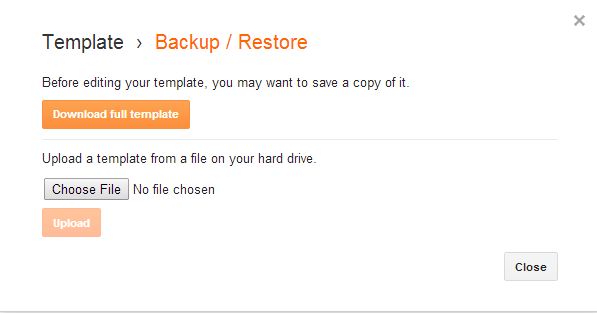 Step 7:Now click on Upload button after you have selected your template. Friends I hope this topic will be useful to people who really wants to change their blog template…..
Just check How to start blogging and tips for blogging …. if you have not started blogging yet..